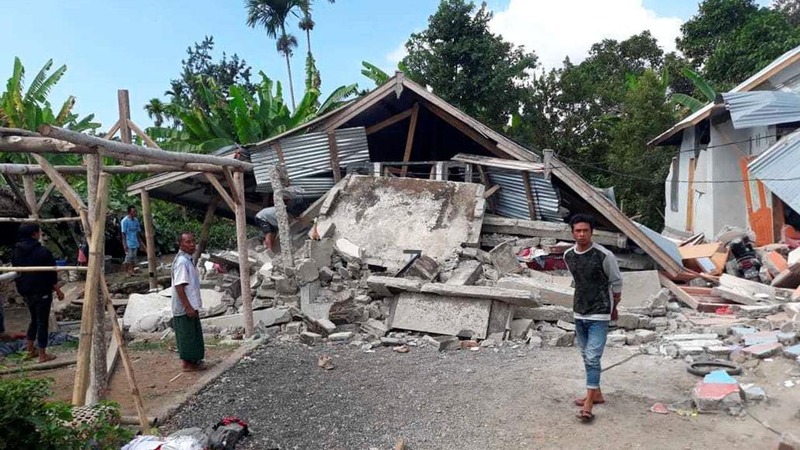 A magnitude 7.0 earthquake has hit along the coast of Indonesia’s Lombok island killing at least 19 people, the rescuers said. A tsunami warning was also issued, but called of a few hours later. “The latest data we have is that 19 people are dead at Tanjung Hospital” in North Lombok, Agus Hendra Sanjaya, Mataram search and rescue spokesman, said. There’s a 72-year-old and a one-year-old child among those killed, he added. Recorded to the north of the tropical island destination, the earthquake happened around 6:46pm local time. The Indonesian government’s geological agency BMKG initially issued a tsunami warning, but lifted it several hours later. Seawater had entered two villages in Lombok at the level of 10 to 13 centimeters, Dwikorita Karnawati, head of the agency for meteorology, climatology and geophysics, told local television news. Initial reports suggest the earthquake happened at a depth of 10.5 kilometers. People have been urged to follow safety procedures set in place by the emergency services. Sunday’s earthquake is the second to hit the island in a week after a 6.4 magnitude quake left 14 people dead in the area last weekend. Lombok has a population of just more than 3 million people. The island is also a popular backpacker destination.